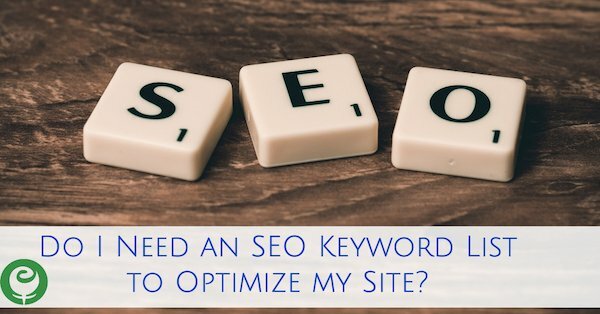 Do I Need an SEO Keyword List to Optimize my Site? When you get to talking about and implementing SEO tactics on your small business website, inevitably you’ll get to the part of the process where you research the best keyword phrases to use on your website pages and blog posts. The SEO keyword research step in the process is where many people take a wrong turn, unfortunately. There’s a well-intentioned but misguided belief that you need to do a ton of keyword research first, and then choose the most popular phrases on that SEO keyword list to apply to your site. The most popular keyword phrases also have the most competition, so the most popular isn’t always the best. The most popular keyword phrases aren’t necessarily the best phrases to use for the content on any given page of your website or blog. If you are going to optimize existing content that’s already published on your site, blog or online store, you need to let the content drive the keyword research, not vice versa. This is because the on-page content needs to correspond with the SEO work you are doing in order to maximize your optimization efforts. And in this scenario, you need to research what the best keyword phrase is to represent that existing content. Said another way, if you slap a popular phrase into your SEO fields, but that phrase isn’t represented in the on-page content, you have little hope of ever ranking well for it. For a very simplistic (and admittedly-exaggerated) example…say you have a page on your site that’s discussing why purple is the greatest color ever (because it totally is!). But you find out that a far more popular SEO keyword phrase is why red is the greatest color ever. Does it make sense to use a keyword phrase about the color red on a page that’s discussing the color purple? For a more plausible example, let’s say you are writing a blog post about how to plan your online marketing strategy, but you’ve found that a keyword phrase like, “Social media marketing content planning”, is far more popular. 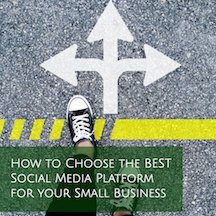 Developing a plan for your online marketing strategy – which includes but is not limited to your social media – and developing a content calendar for your social media accounts are 2 related but very different marketing tasks. Because of this, it would not be wise to use the more popular phrase for your blog post because that keyword phrase doesn’t adequately represent what’s being discussed in that blog post. With all this being said, this doesn’t mean there is no purpose for a well-researched SEO keyword list. A strong keyword phrase list can be very valuable for your SEO strategy. However, it’s best to use that keyword list to drive the creation of new content on your site in the form of website pages or blog posts. That way you can craft to-be-written content around the selected keyword phrases instead of trying to retrofit a popular phrase onto pages or blog posts that have previously been published. So, a popular keyword phrase list can be great. But it’s how you use that SEO keyword list that will dictate how effective all that SEO research will be for your optimization efforts.